This is a single en-suite room measuring around 16m². 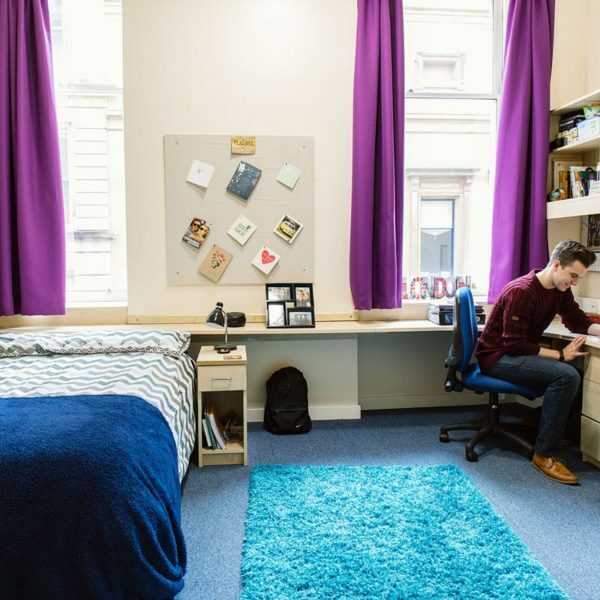 The room has a comfortable double bed, a desk area and private bathroom, as well as a wardrobe, under-bed storage and plenty of wall shelving and storage. There is free Wi-Fi in each bedroom and throughout the building. 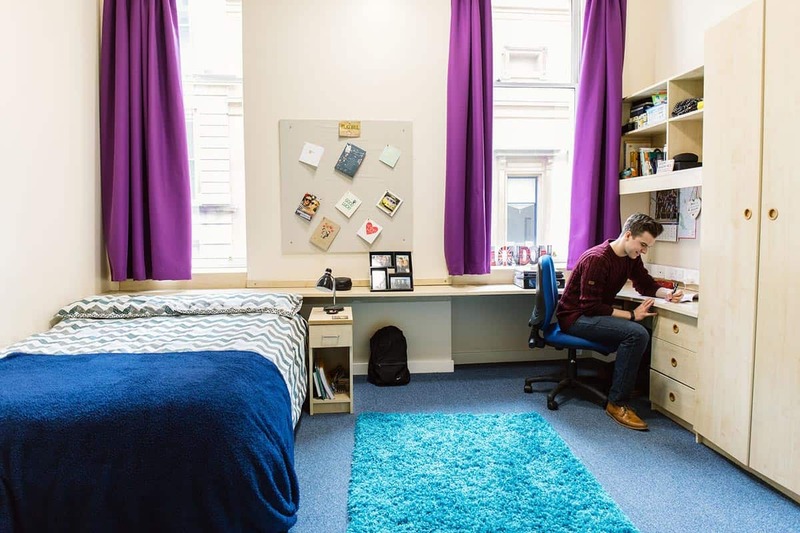 You will also have access to the communal living and kitchen areas which you will share with 9 flatmates.